The Freedom Rides demonstrated the power of nonviolent direct action to achieve strategic victory. Along with the Montgomery Bus Boycott of 1955 and the student lunch counter sit-ins of 1960, the Freedom Rides were one of the earliest demonstrations that Gandhian principles of nonviolence could prove effective in the American civil rights movement. From its founding by pacifists in 1942, the Congress of Racial Equality (CORE) was committed to practicing methods of nonviolent direct action. Similarly Rev. 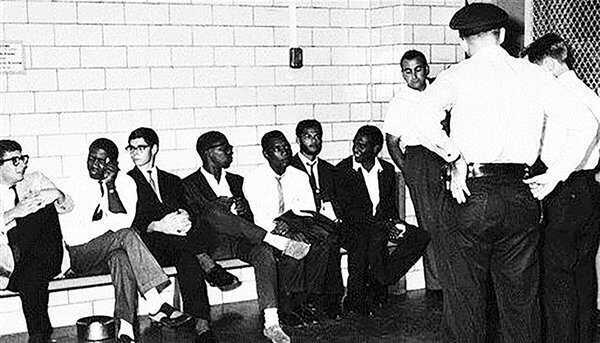 Jim Lawson, part of the second wave of Freedom Riders, had studied nonviolent philosophy and techniques in India and trained future leaders of the Nashville Student Movement prior to their involvement in the lunch counter sit-in campaigns. Training and role-playing in nonviolent techniques were part of the preparation for CORE's original May 4 Freedom Ride. But the greatest education came from the Rides themselves. The Freedom Riders were able to remain nonviolent when their lives were in danger, despite the burning of the Greyhound Bus near Anniston, AL on May 14 and the brutal riots in Birminghm, AL on May 14 and Montgomery, AL on May 20. 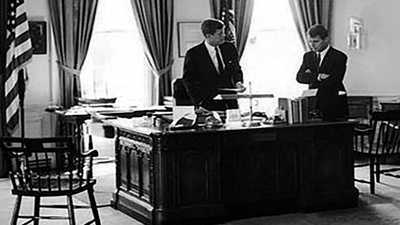 Their courage and stoicism, even when beaten and bloodied, left a deep impression on the nation and the world. 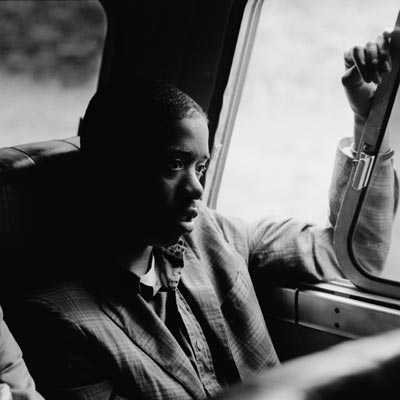 Nonviolence drew a stark contrast between the actions of the Freedom Riders and those of their segregationist foes, while at the same time bringing the injustice of racial oppression starkly into the spotlight. 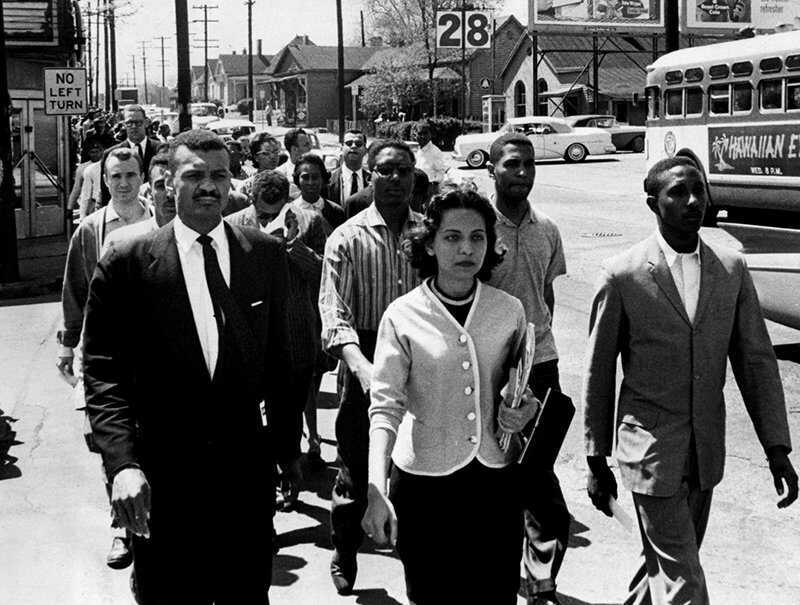 The success of the Freedom Rides showed that nonviolent direct action could do more than simply claim the moral high ground; in many situations, it could deliver better tactical results than either violent confrontation or gradual change through established legal mechanisms. Fresh waves of Riders would arrive to take the places of those Riders who had already been injured and jailed. Movement leaders like Martin Luther King, Jr. who initially considered the Freedom Rides too risky became outspoken supporters, paving the way for nonviolent actions like the Birmingham campaign of 1963 and the Selma to Montgomery Marches for voting rights of 1965. "They understood that the only way it could be done in America is through peaceful methods," said Rabbi Israel "SI" Dresner. "The Freedom Rides illustrated that." 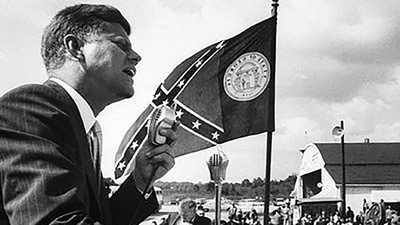 In 1960, due to racially discriminatory voter registration practices, the overwhelming majority of voters in the South was white; the "Solid South," was key to the Democratic Party’s fortunes.